The travel portal NasamNatam is the place where every journey starts and ends. 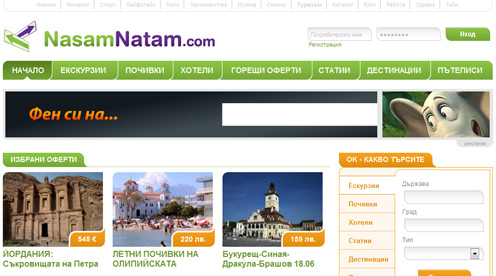 In the site you can find useful information about each destination, useful travel guides and notes. You will also find various offers for holidays, excursions, hotels, tickets.